It’s easier than ever to protect your organisation from external threats for only. In today’s world, it is critical to maintain control over your environment. Maintain control over your environment while gaining email protection from Microsoft. Get enterprise-class reliability and protect against spam and malware, while maintaining access to email during and after emergencies. Exchange Online Protection provides a layer of protection features that are deployed across a global network of datacenters, helping you simplify the administration of your messaging environments. New malware campaigns are being launched every day, and Office 365 has a solution to help protect your email against them. With Office 365 Advanced Threat Protection, you can protect your mailboxes against new, sophisticated attacks in real time. By protecting against unsafe attachments and expanding protection against malicious links, it complements the security features of Exchange Online Protection to provide better zero-day protection. 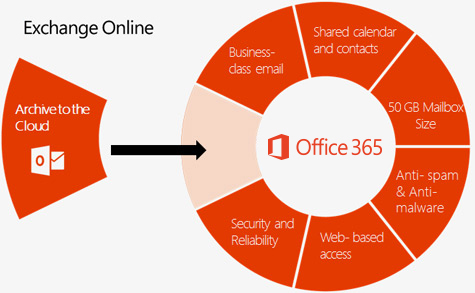 You can add Advanced Threat Protection to any of the following Exchange and Office 365 subscription plans: Exchange Online Plan 1, Exchange Online Plan 2, Exchange Online Kiosk, Exchange Online Protection, Office 365 Business Essentials, Office 365 Business Premium, Office 365 Enterprise E1, Office 365 Enterprise E2, Office 365 Enterprise E3, Office 365 Enterprise E4, Office 365 Enterprise K1, Office 365 Enterprise K2, Office 365 Education. for only R23.00 per user. WHAT IF YOUR VIRTUAL ENVIRONMENT SWELTERS? All businesses need a business continuity and disaster recovery (BCDR) strategy to mitigate financial and reputational risk. But how do you keep your workloads and data safe and available during planned and unplanned downtime, and recover to regular working conditions as soon as possible. What is your insurance policy? When it comes to developing a disaster recovery strategy, many businesses believe that data backup is enough to keep them protected in the time of a crisis. However, it’s important to understand that while data backup is an important facet of any disaster recovery (DR) strategy, the two are not interchangeable. While many people often use the terms ‘data backup’ and ‘disaster recovery’ interchangeably, this is incorrect. The key differentiator when it comes to DR vs. backup is that DR replicates data and technology functions in real time to an offsite location, and will enable a firm to restore operations to an offsite location immediately, preventing interruptions to the workday if an event renders the primary work site unusable. In contrast, data backup is a copy of a company’s data files that are made by taking routine snapshots either once daily, or overnight, to a physical tape located onsite or to a virtual tape library offsite. Azure Site Recovery is a service that contributes to your BCDR strategy. Using Site Recovery, you can deploy application-aware replication to the Cloud, or to a secondary site. Whether your apps are Windows or Linux-based, running on physical servers, VMware or Hyper-V, you can use Site Recovery to orchestrate replication, perform disaster recovery testing, and run failovers and failback. Site Recovery integrates with Microsoft applications, including SharePoint, Exchange, Dynamics, SQL Server and Active Directory. Microsoft also works closely with leading vendors including Oracle, SAP, IBM and Red Hat. You can customise replication solutions on an app-by-app basis. But what does this cost? There is no reason why you need to replicate your current infrastructure environment to enable site recovery. Public cloud, now more than ever, plays a significant role in reducing the relevant expenses associated to enabling DR.
* While using Site Recovery to Azure, you will incur charges for storage, storage transactions and outbound data transfer. * Makes multiple synchronous copies of your data within a single datacentre, plus multiple asynchronous copies to a second datacentre hundreds of miles away. * When you create a Blob Storage Account, you can set the access tier as Cool or Hot. Cool tier has a lower cost of storing data but a higher cost of accessing data, and it should be used for data that is not frequently accessed, and has lower availability SLA requirements. Azure Backup is a simple and cost-effective backup as a service (BaaS) solution, that gives you trusted tools on-premises with rich and powerful tools in the cloud. It delivers strong protection for customer data wherever it resides—in your enterprise datacenter, remote and branch offices, or the public cloud—while being sensitive to the unique requirements these scenarios pose. When using heterogeneous storage, there is no cost for using on-premises storage devices. Azure Backup automatically allocates and manages backup storage, and it uses a pay-as-you-use model. Pay-as-you-use means that you only pay for the storage that you consume. Azure Backup uses the underlying power and unlimited scale of the Azure cloud to deliver high-availability – with no maintenance or monitoring overhead. You can set up alerts to provide information about events, but you don’t need to worry about high-availability for your data in the cloud. Azure Backup offers two types of replication: locally redundant storage and geo-redundant storage. Locally Redundant Storage (LRS) replicates three times in a paired datacentre in the same region. LRS is a low-cost option for protecting your data from local hardware failures. GRS costs more than LRS, but provides a higher level of durability for your data. Azure Backup does not limit the amount of inbound or outbound data you transfer. However, if you use the Azure Import/Export service to import large amounts of data, there is a cost associated with inbound data. Data encryption allows for secure transmission and storage of your data in the public cloud. You store the encryption passphrase locally, and it is never transmitted or stored in Azure. If it is necessary to restore any of the data, only you have encryption passphrase, or key. Whether backing up a file server, virtual machine, or SQL database, you need to know that a recovery point has all required data to restore the backup copy. Azure Backup provides application-consistent backups, which ensured additional fixes are not needed to restore the data. Restoring application consistent data reduces the restoration time, allowing you to quickly return to a running state. Back up data to Azure for 99 years. Instead of switching backup copies from disk to tape, and then moving the tape to an off-site location for long-term storage, you can use Azure for short-term and long-term retention. With all of the messages and electronic files that are sent via email in support of daily business activities, one would think that companies would find it just as important to manage that electronic content. Unfortunately, one important task many organizations seem to overlook is archiving email. Not only is archiving email a business best practice, it is often required by regulations that govern your business. As much as 75% of a company’s intellectual property is contained within email and messaging systems. This means that your email solution is more than just a vital business communications tool. It constitutes an electronic substitute of legal business documentation. With Exchange Online Archiving for Exchange Server, you have control of your customer’s messaging data by providing additional Cloud based email storage. For R34 per user, with Exchange Online Archiving for Exchange Server you can now provide your customer’s with a solution that looks after archiving, compliance, regulatory, and e-discovery challenges, while simplifying your on-premises infrastructure. Cloud-based archives allow you to store large quantities of messaging data off-site in secure and controlled datacenters. Exchange Online Archiving helps your organization meet regulatory compliance or business requirements for long-term retention of e-mail. With cloud-based archives for your on-premises mailbox users, you can perform seamless discovery searches across both the on-premises primary mailbox and the cloud-based archive. When users are placed on litigation hold in your on-premises organization, their cloud-based archive is also placed on hold. Moving historical e-mail data to a cloud-based archive allows you to reduce your organization’s storage requirements. You can provision users’ primary mailboxes with appropriate mailbox quotas, which keeps mailbox sizes in control and your storage costs low. Cloud-based archive mailboxes are similar to an on-premises archive mailbox. Using Outlook 2010, Outlook 2007 or Outlook Web App, users are able to access older messages and content in the archive transparently, without requiring any additional configuration on their computers. What is Exchange Online Archiving? Microsoft Exchange Online Archiving for Exchange Server is a cloud-based, enterprise-class archiving solution for your Exchange Server 2010 Service Pack 1 (SP1) or later on-premises organization. With Exchange Online Archiving, your organization can host your users’ primary mailboxes on your on-premises servers and store their historical e-mail data in cloud-based archive mailboxes. You can use retention policies to move messages to a user’s cloud-based archive. When you enable an archive, the default retention policy called Default Archive and Retention Policy is automatically applied to the user. This policy has a default policy tag (DPT) assigned that moves items to the archive mailbox after two years. Use Inbox rules to either move messages to a folder that has an archive policy assigned or have the rule apply an archive policy to the message itself. Move messages manually in Outlook or Outlook Web App. For all these operations, the cloud-based archive behaviour is similar to a personal archive. Users can move messages from their cloud-based archive to their primary mailbox by using Outlook or Outlook Web App. Users can also move or export messages to a .pst file by using Outlook. To protect your organization’s messaging data, you can disable users’ ability to move messages from their primary mailbox or cloud-based archive to a .pst file or another mailbox. To do this, use Registry entries or the group policy settings included in the Office 2010 Administrative Templates. You can also export a cloud-based archive to a .pst file by first moving it to an on-premises Mailbox server and then creating a mailbox export request. Most businesses today know that delivering a great customer experience is essential to winning sales and differentiating themselves against their competition. This is where Microsoft Dynamics 365 for Sales comes in, but a lot of smaller businesses see it as too complex for their needs. Dynamics 365 for Sales offers the perfect solution because it can adapt to specific business needs, with the flexibility to deliver only the part of the solution that is right for the customer at a given time. In many cases, the best strategy is to focus on the basics and start small—for example delivering capabilities around a specific area like opportunity management, and then moving on to more advanced scenarios later. Everyone on the sales team needs easy access to consistent, detailed customer information and past interactions. Make it easy for all your salespeople to get the information they need to deliver great customer experiences. An increasingly mobile sales team demands tools that make it seamless to work anywhere. Empower your salespeople to do their best work from virtually anywhere on any device. Business leaders need visibility into organizational performance to make better-informed decisions quickly. Get visibility into your organization to make informed decisions and grow your business. Art Virtual Receptionist gives you a professional answering service for your business by maintaining and growing meaningful connections with your clients in an increasingly virtual world. This services include answering and transferring calls to you, taking messages and managing your diary through cutting edge technology. Our findings are that many partners and businesses are battling with the management of costs associated to ‘someone’s’ credit card. There are multiple challenges and risks associated with this – which First Distribution can eliminate as one of Microsoft’s leading distributors. A common argument against Cloud computing is the possibility of runaway costs. With proper planning and implementation of your Azure networks, you can spend less money and gain more benefits than you would with a traditional on-site server and network infrastructure. It’s easiest to think of Cloud computing as a utility or a collection of resources, rather than discrete physical servers. Like electricity in your house or gasoline in your car, Public Cloud computing is consumption-based, rather than asset-based. First Distribution can help you find the most effective ways to reduce your resource consumption and increase your Public Cloud cost savings. The most important thing to do with Public Cloud is to plan before starting your roll out. It sounds obvious, but is often not thoroughly addressed. Planning is your number one weapon for cost saving – use it! A frequent trap that IT administrators fall into is ‘sizing’ Public Cloud virtual machines and networks as they traditionally did for on-premise configurations. You need to plan for AVERAGE consumption, not PEAK usage. Azure gives you both, as it is designed to scale upon demand – unlike the servers you have sitting in a closet. You don’t need to pay for resources you are not using. Use this tool to get an idea of what achieving your goals will cost. This is an excellent way to quickly try out different configurations. It’s also helpful to run Performance Monitor on your existing systems for a couple of weeks to get an idea of the current consumption of computing resources. The results may surprise you – you may not be using as much as you think. In addition, don’t forget to include periods of peak usage, like during monthly billing or reporting cycles. The cornerstone of a managed services practice is exactly as the name implies: Services. Those looking to begin an MSP practice need to figure out what kind of services they want to offer. Whether you want to simply provide basic cloud support, or you want to start a full service SP practice by offering everything from assessments to advanced security solutions, there is room in the MSP world for your business. 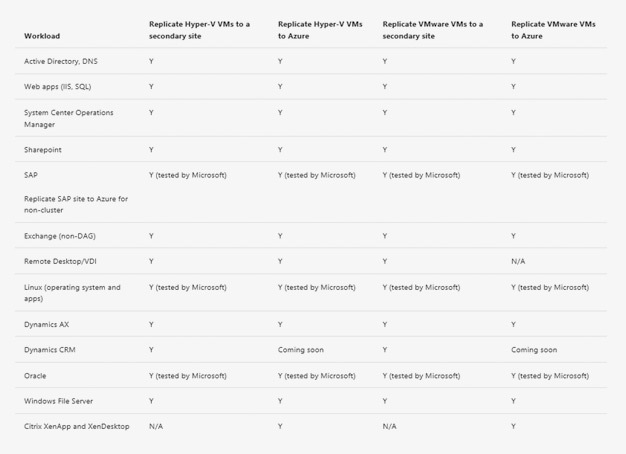 Most Azure MSPs offer six discrete areas of functional support, as outlined below. Their managed services offerings are developed by combining these functions in the form of service packages. Within each function, there is a spectrum of services that MSPs can provide, depending on their customer needs and their capabilities. Here we will discuss each of these functions in detail through the lens of some potential customer questions. HOW DO I GET MORE SPEED, AGILITY AND PERFORMANCE FOR MY IT ASSETS? WILL YOU MIGRATE MY WORKLOADS TO AZURE? WILL YOU TAKE CARE OF ARCHITECTURE CHANGES IN ORDER TO MEET THE RELIABILITY, SCALABILITY, AND AVAILABILITY REQUIREMENTS? The deployment offering of an MSP practice means leaving behind the world of plans and tests and venturing into the realm of taking action. While everything looks good on paper, it’s the successful zero-downtime migration of a production application—with live users—that forms the trust test, ultimately determining whether the migration is labeled a success or a failure. This is the point in the cloud journey where data will be migrated and apps will be decommissioned, re-platformed, remediated or consolidated—all while providing a seamless experience for the customer. WILL YOU BACK UP ALL MY DATA AND PROVIDE DISASTER RECOVERY TO MY MISSION CRITICAL APPLICATIONS IN CASE OF OUTAGES? Now that the customer’s data is in cloud, your real responsibilities begin —ongoing operations management. As part of this offering, you provide the base management services your customers are looking for: automation and orchestration, patching updates, configuration management, backup and disaster recovery, and identity management. Customers expect all of these tasks to be ‘managed’ by their partner. HOW CAN I ACTUALLY MONITOR ALL OF MY HOSTED AND INTERNAL IT ASSETS? Most mid-market and enterprise organizations simply do not have the time, resources, or dedicated staff required to monitor every aspect of IT, and this is where MSPs add the most value. While Azure offers many monitoring capabilities built within the platform – there is still a place for partners who (a) provide additional, deeper monitoring tooling, (b) triage the false positives from the real alerts and (c) proactively act upon the alerts before any measurable loss in performance. This is the bottom line question you will get as an MSP. Helping customers manage their cloud spend and make sense of their Azure bill is a critical service. If you can efficiently attribute your customer’s spend to different projects, departments, teams, applications and cost centers you can demonstrate the true monetary value of your practice. DOES YOUR BUSINESS HAVE THE TOOLS AND EXPERTISE TO EFFECTIVELY GET AHEAD OF SECURITY THREATS? The current digital security landscape for businesses can accurately be described in one word: complicated. More numerous and advanced threats, more nebulous and complex compliance requirements, more difficult and intricate infrastructure to secure. Simply put: keeping data, workloads, and users secure is more than a full time job and organizations are having trouble keeping up. That’s where managed services comes in to save the day.